The elements used in battery production are finite and in limited supply. This makes it impossible to electrify all of the world's transport with current battery technology. Meanwhile, there is still no environmentally safe way of recycling lithium-ion batteries. A shift in people's reliance on combustion cars to electric cars also does little to address sedentary urban lifestyles, as it perpetuates our lack of physical activity. In Copenhagen, for example, bikes now outnumber cars in the city's centre, which is primed to be car-free within the next ten years. Many other cities, including Oslo in Norway and Chengdu in China, are also on their way to being free of cars. These developments don't just address transport-related environmental problems. They enhance liveability by reclaiming urban space for green developments. They reduce the cost of living by cutting commuting cost and time. They deliver health benefits, thanks to reduced pollution and more active lifestyles. They improve social cohesion, by fostering human interaction in urban streetscapes, and help to reduce crime. And of course, they improve economic performance by reducing the loss of productivity caused by congestion. Whoa, beware. You're awfully close to prophecies and myths with such claim. Most EV could very well continue to use Lithium batteries and it wouldn't be surprising. Quite a bit of Misinformation and errors in this piece and ironically coming from "The Conversation (Australia)" you would normally have expected something that was not only current & accurate without the commonly forwarded MYTHS that the Pro Fossil Fuellers toss around. Cities have switched to completely electric busses (Shezen for example with 17,000 E-Busses) and many more. The COBALT & Lithium FALSE FLAG is being waved, newer Chemistries use much less and alternatives AND ARE RECYCLABLE !!!! In FACT it's mandated in China (no one else wants to oddly). 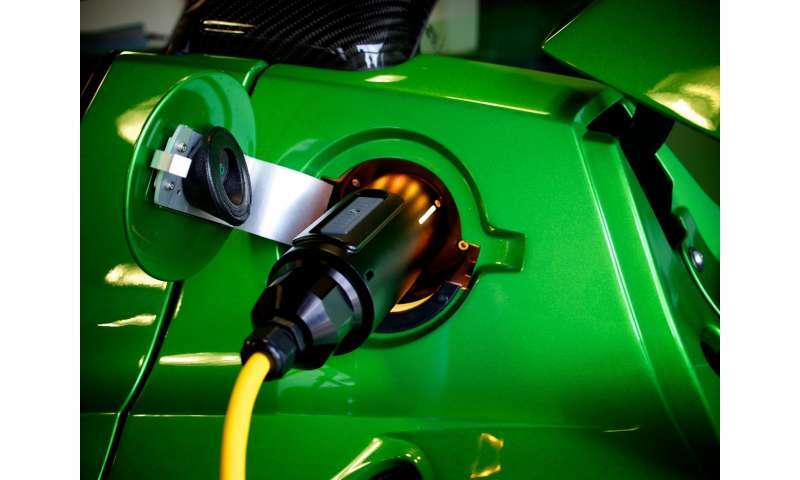 Commercial car, truck & transport fleets are being changed to Electric and NOT just in China ! Ever hear of UPS or DHL Post ? The WORST PART - China is pushing EV's and they are selling at record pace and even Western Auto is doing it THERE. The WEST is BEING LEFT OUT by our own Carmakers who still push diesel ! First World to get the Goods LAST ! Intentionally SO by Corporate Demand. Prices should be on par with conventional cars by 2025. Prices are already on par (actually below) conventional cars if you calculate total cost of ownership (TCO). If you do the calcs you will find that despite a 50% surcharge on the sticker price over a comparable ICE car you actually save money over the entire lifetime of the car when buying an EV. At the end of the day TCO is what impacts your wallet. and heavier vehicles are often accompanied by higher levels of non-exhaust emissions. Like brakes and tires? Oh, wait: EVs don't brake nearly as much as ICE cars because they mostly use recuperation. Tires might be an issue, but companies are already starting to sell special EV tires to address this. What has this got to do in an article that claims to show up the problems "electric vehicles have of their own"? This article completely misses the biggest (by far), change in our society which is: What do we do with the hundred million people whose incomes are tied to some part of the internal combustion engine, its manufacture its parts, its sales, its upkeep? Oil and gas are a small part of it, compared to tune-up places, emissions checks, oil changers, repair mechanics, the folk who make oil filters, and all the folks who sell them parts and everything else. We have to plan for that now, because the transition will be quick. Untrue. You essentially have to manufacture/buy two EVs per one regular car because the value of the used EV once the battery is dead is zero, and the battery lifespan is half that of a normal car. It's going to be scrap. EVs don't brake nearly as much as ICE cars because they mostly use recuperation. That's still braking, and the EV specific tires are simply made out of harder rubber - a compromize in safety/quality. Well, you could plan to not shoot yourself in the foot, and instead implement power-to-gas/liquid and clean synthetic fuels. Chinese authorities are already making noises about reducing the cash incentives for new energy vehicles because they are costing the government too much money. But without the incentives, the chances that China can have 5 million of them on the road are slim. If only buyers were not so persnickety about not paying for what they don't want.